Cambridge is a well known name as retailer of women’s clothing from past many years which gives a wide variety of complete men’s clothing as well as accessories. Now more than 35 stores and outlets inside Pakistan are serving its clothing. Then Cambridge decided to make clothing for women as well and for this they started their brand with name of Zeen only for ladies that offer dresses like lawn prints, pret wear, unstitched and stitched suits plus all luxury accessories. Still now Zeen continue doing work with Cambridge because of their tremendous quality which brings inventive fashion as well as unique designs to their loyal customers. Zeen Eid 2015 Collection Designer Embroidered Dresses consist of two formats one in the form of unstitched pattern and other one in the form of stitched pattern because they know what is the demand and need of their clients. In Zeen Eid Collection 2015 the shirts are both in embroidery and printed form along with stunning trousers. Zeen by Cambridge prepared their Eid Collection 2015 so perfectly that nobody can find any kind of mistake in these apparels even the color, fabrics, cuts, designs, stitching are mind blowing. 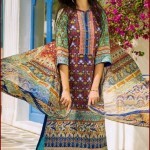 Ladies would love to carry these chic, fashionable and stunning tunic embroidery suits along with matching color of churidar tights and crazy to wear it on Upcoming Eid. As such Zeen Woman by Cambridge served all time dresses with full of enriched colors as well as unique pattern for each season. Same like this time for festival of Eid-ul-Azha they deliver some best combination of dazzling color with appealing style and radiant essence. Prices of these entire suits are quite reasonable and must be afford by everyone as price range starts from PKR 2000 to PKR 5000. 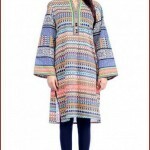 Check below here Zeen by Cambridge Eid Collection 2015 for women.